Does your organisation send workers employed by your organisation in one Member State to carry out work in another Member State? If so read on. A recent EU directive on this area was transposed into Irish law on 27 July last through the signing of The EU (Posting of Workers) Regulations 2016. So what does this mean and what are posted workers? Posted workers are persons who are employed in one EU Member State but are sent to another EU Member State by the employer to work on a temporary basis e.g. construction workers from Poland sent to Ireland to carry out work for their employer on a large construction project. These regulations and the directive were brought in to increase the protections for employees in this situation. There was a previous directive in place that provided that Member States were obliged to ensure that posted workers had the same minimum terms and conditions as those employed in the posted country. However there were concerns that this was not being complied with and workers in this situation still were not adequately protected. Cue the new directive and the resulting Irish regulations. Ultimately the new regulations provide an ability to monitor compliance and better enforcement measures for non-compliance. For employers posting workers to Ireland the most important obligation under the new regulations is the obligation for the employer to make a declaration to the Irish Workplace Relations Commission (WRC) in advance of sending any workers to Ireland. The WRC form to completed includes the provision of information on the identity of the service provider, the number of posted workers, how long they will be posted for and the addresses of the workplaces of those workers in Ireland. Various employment records must be available for inspection by the WRC and they must be notified of where these records will be available. A specific individual must be identified as the designated liaison with the WRC. If the WRC is happy with the information provided it will issue a compliance acknowledgement to the requesting employer. Failure to comply with the new rules could result in a fine of up to €50,000. There is potential for officers of a company to be personally liable for the offence. Of major significance is the fact that posted workers who are not being paid the minimum wage but are employed by a subcontractor can take legal action against the ultimate contractor. Liability can be avoided where the contractor can show they took all reasonable steps and sought the relevant information from their subcontractor. In practical terms this means more warranties and indemnities in contracts of this nature and increased employment law due diligence. There is also potential for the various designated authorities across the EU to enforce cross border penalties for non-compliance against service providers in different Member States. So there is no escaping those fines within Europe. 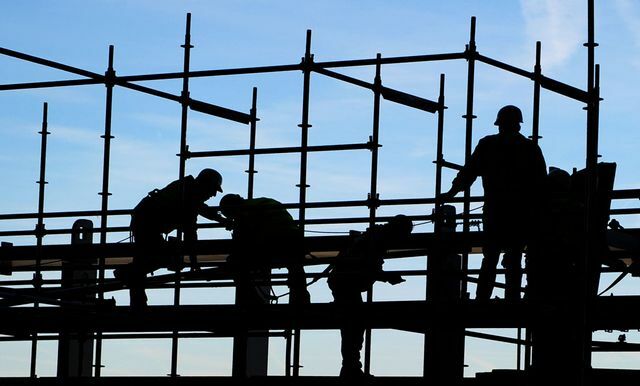 Therefore its essential that any organisation from another Member State seeking to place workers in Ireland for a specific project firstly ascertains if that makes them 'posted workers' and if so ensures that they comply with the new regulations. If you require information on this topic or any other employment law related matter please contact a member of the Employment Team.